Carolyn Bennett is a native of Evanston, Illinois. She has had careers in the television production field working for ABC and also as a freelance writer. She holds an M.A. in the Conservation of Historic Landscapes, Parks, and Gardens from the Architectural Association School of Architecture, London. She writes and lectures frequently on historic landscape conservation and garden history issues and owns her own garden consultancy business, cdb gardens. 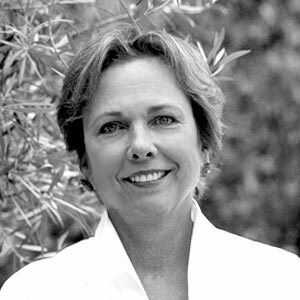 Carolyn is a Trustee of the Los Angeles County Arboretum Foundation and a founding member of the Garden School Foundation. She served on the Board of The Cultural Landscape Foundation from 2004 to 2012. She is the mother of three grown children and lives in Los Angeles with her husband, Jamie.